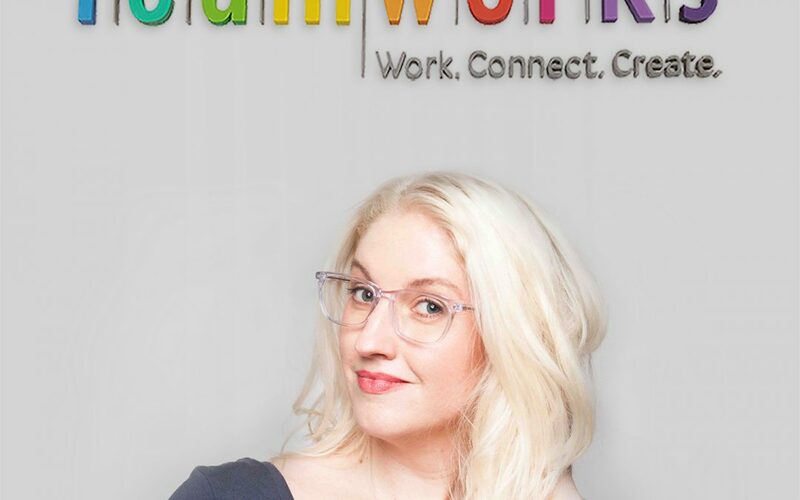 Teamworks keeps on gaining professionals in its space! It currently counts with the presence of specialists from different areas, such as communication, e-commerce, insurance, design and IT. Now it’s time to introduce you to our brand new Teamer: Christina Van Buskirk, from Janeiro Talent. This painting and art lover from the United States fell so in love with Argentina ten years ago that she decided that the City of Buenos Aires was the perfect place to set up her own business. Once she was fully living in Argentina, Christina began to work on the construction of her company. Obviously, as she is a talent recruiter, her aim was to identify talents for the companies in the country. Finally, last year she decided it was time to launch her entrepreneur business and created the recruiting company named Janeiro Talent. The firm works mainly with professionals from industries related to communication, creativity and advertising. Janeiro Talent -and Christina- offer an outstanding talent recruiting service, based in transparency and a high standard of expertise. For this brand new 2019, she is willing to keep her business growing, and even expanding her working team in the company. Christina decided that the best way to accomplish this was by joining Teamworks. “I chose this coworking space because I love the atmosphere and the people who also work here,” she said.